Our Trehel team members have been busy over the past couple of months raising money and taking steps (literally) towards healthy living. Our Annual Office Fitbit Challenge kicked-off on April 8 when several members of our team along with their families participated in the annual Heart Walk. 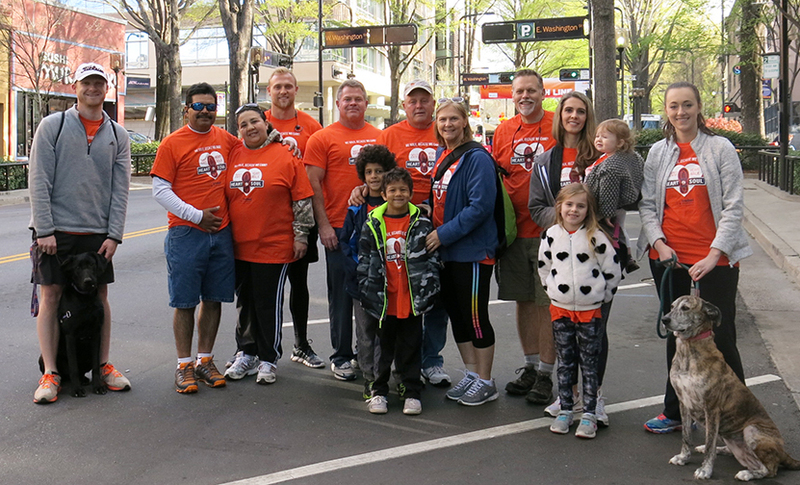 Through online and office donations, our walk team raised a total of $2,981 for the American Heart Association. John Cox, VP and Project Manager, individually secured donations amounting to $2,375 – amazing work, John! Our month-long Fitbit Challenge concluded on May 6 with the Pickens March for Babies walk in Easley, SC. We exceeded our goal of raising more than $500 for this worthy cause. Bryan Yoder, Project Manager, earned individual first place honors in our Fitbit Challenge with a total of 509,386 steps taken or approximately a distance of 240 miles! Our overall winning team included Bryan Yoder, Keith Poole, Michelle Moon and Tim Murphy, who won the challenge with a total of 1,393,159 steps completed (nearly 650 miles) in a one month period! On behalf of our Trehel walkers, thank you to those who supported us in our steps toward healthy living and with our fundraising goals for these two wonderful organizations.